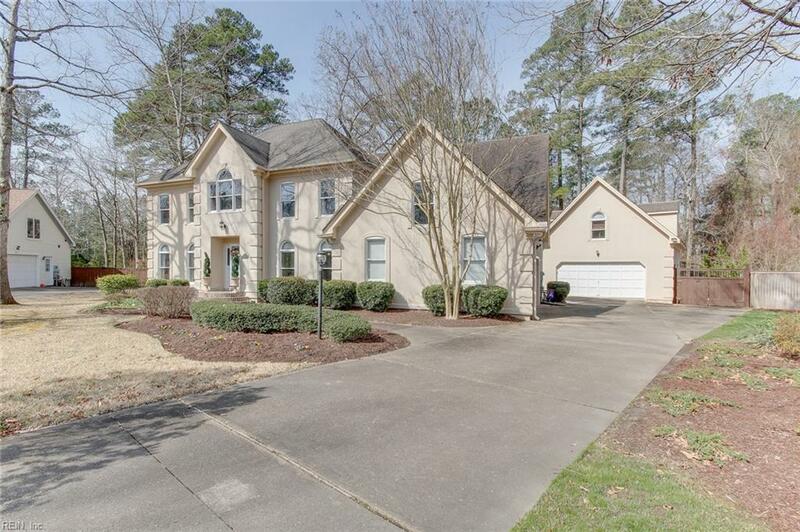 304 Honey Locust Way, Chesapeake, VA 23320 (#10246740) :: Abbitt Realty Co. This former homearama model is a perfect home for entertaining year round as well as family living. 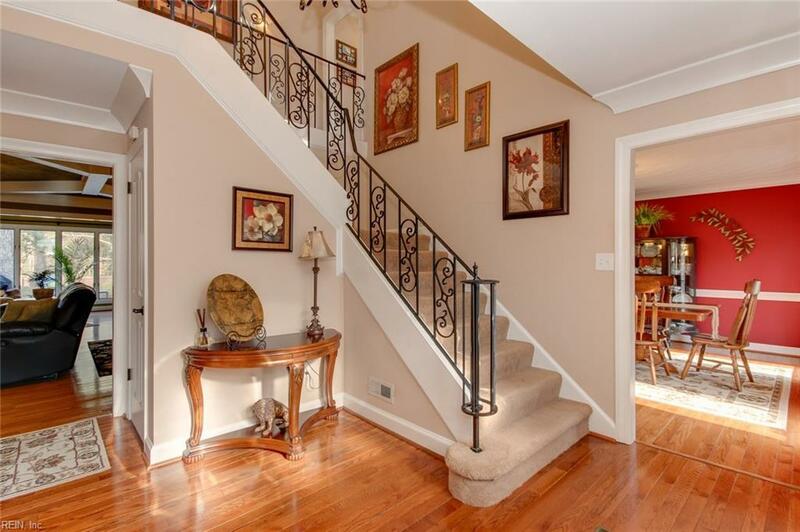 Gleaming hardwood floors greet you at the 2 story foyer and formal dining room. French doors open to a large and sunlit office. Large family room with cozy gas fireplace. The sunroom and kitchen have fabulous views of the backyard paradise. Gourmet kitchen features stainless steel appliances, beverage fridge, huge center Island, large pantry and eat in area. First floor guest bedroom with full bath. 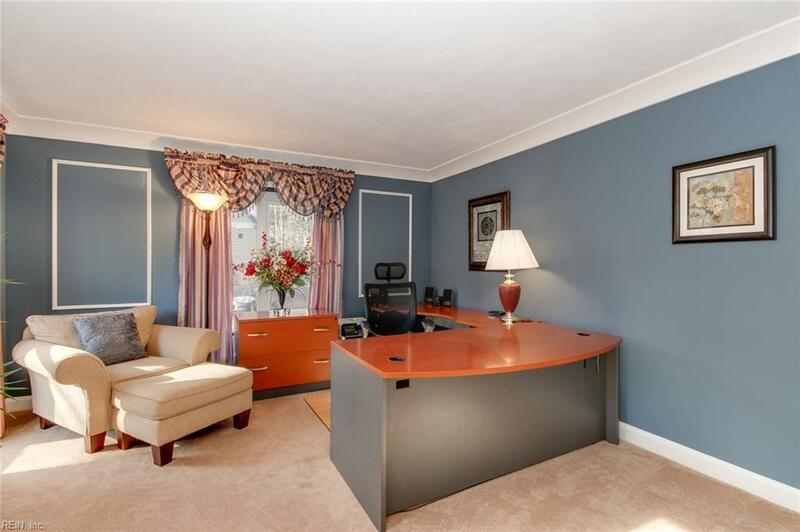 Master bedroom with large walk in closet, ensuite bath, separate sitting area. Huge FROG and 2 additional bedrooms and bath on the second floor. 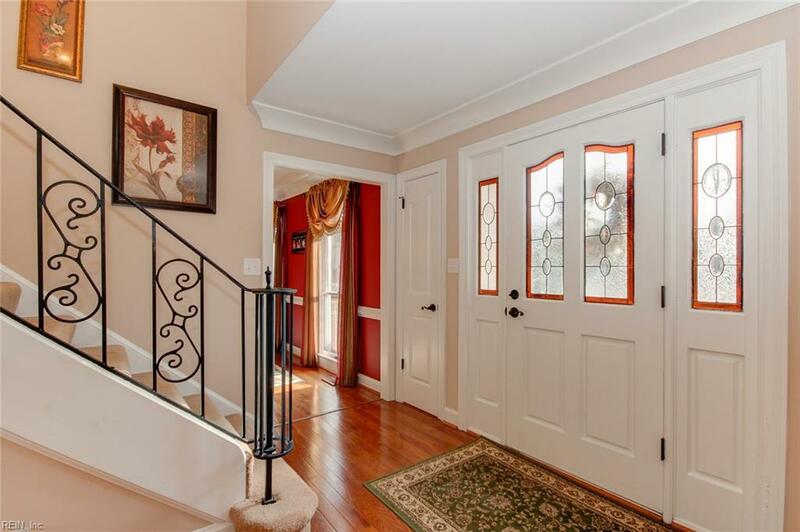 2 car attached garage with oversized driveway is extended behind double gate along detached garage. Bonus guest suite over the detached garage features a large living area, full bath and kitchenette. The backyard paradise has a gorgeous in-ground pool and trex decking. Encapsulated crawl space and dehumidifier installed in 2017.